The President of the National Council of the Austrian Parliament, H.E. Wolfgang Sobotka, accompanied by a high level delegation, visited The Museum of the Jewish People at Beit Hatfutsot today. 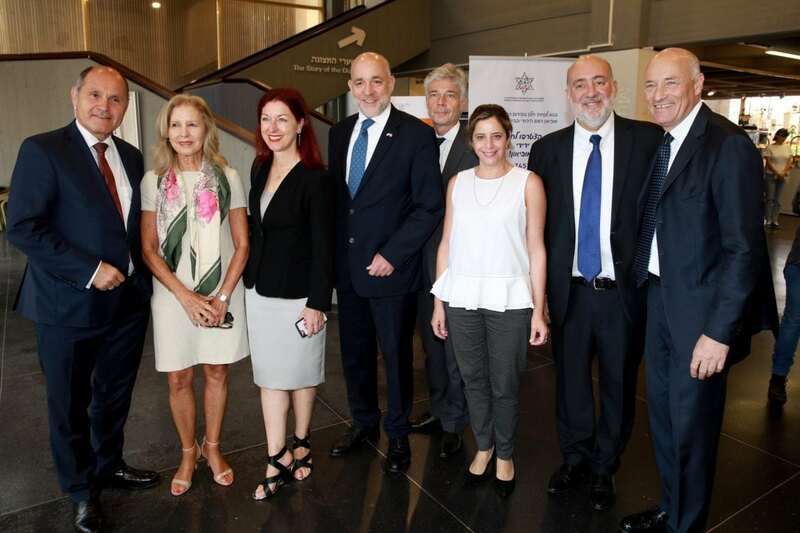 Among the distinguished participants in the delegation were H.E Martin Weiss, Austrian Ambassador to Israel, Mr. Martin Engelberg, member of the national Council, Mr. Harald Dossi, Secretary General of the Austrian Parliament and Ms. Hannah Lessing, Secretary General of the National Fund of Austria. The guests were welcomed on their arrival by H.E. Ron Prosor, formerly Israel Ambassador to the United Nations and member of the Beit Hatfutsot Board of Directors and by Dan Tadmor, CEO of Beit Hatfutsot. 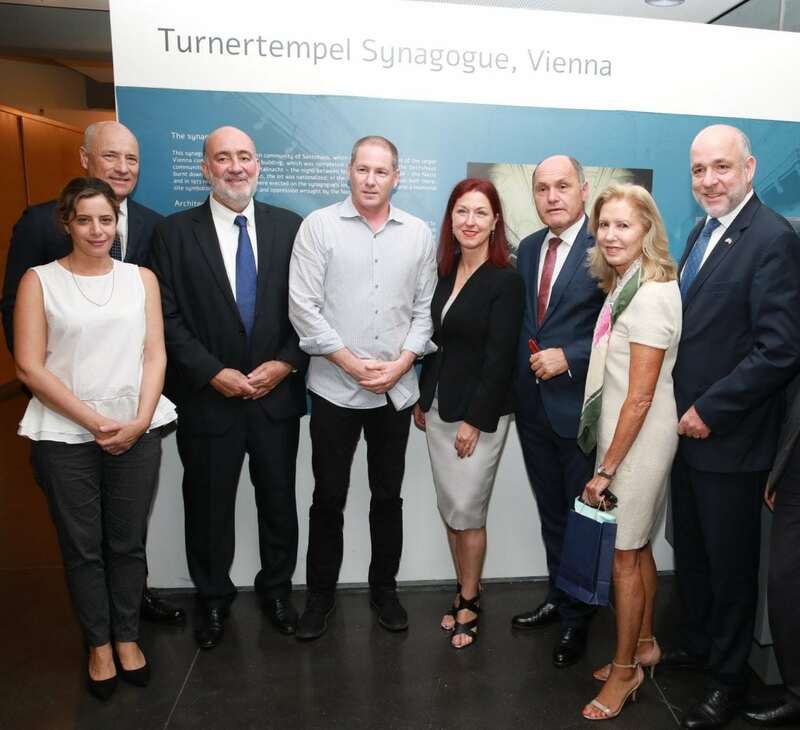 They began their visit by viewing the model of the famous Turner Tempel Synagogue which provided the ideal opportunity for H.E. Prosser to praise the longstanding and important relationship between Beit Hatfutsot and the National Fund of Austria. Then the group visited the Synagogue Hall where the exhibition showcases 21 models representing various different communities and Jewish life. The group then visited Beit Hatfutsot’s latest exhibition on Jewish Humor ‘Let There Be Laughter‘ which all members of the delegation greatly enjoyed. Dan Tadmor thanked H.E. Wolfgang Sobotka and his delegation for their visit to Beit Hatfutsot and took the opportunity to thank him and Ms. Hannah Lessing for the ongoing support of the National Fund which he hoped would continue in the future.